As we wrap up another busy event season, we want to give a quick rundown of the themes we are seeing, voices we are hearing and trends to pay attention to in the Marketing and e-Commerce world. 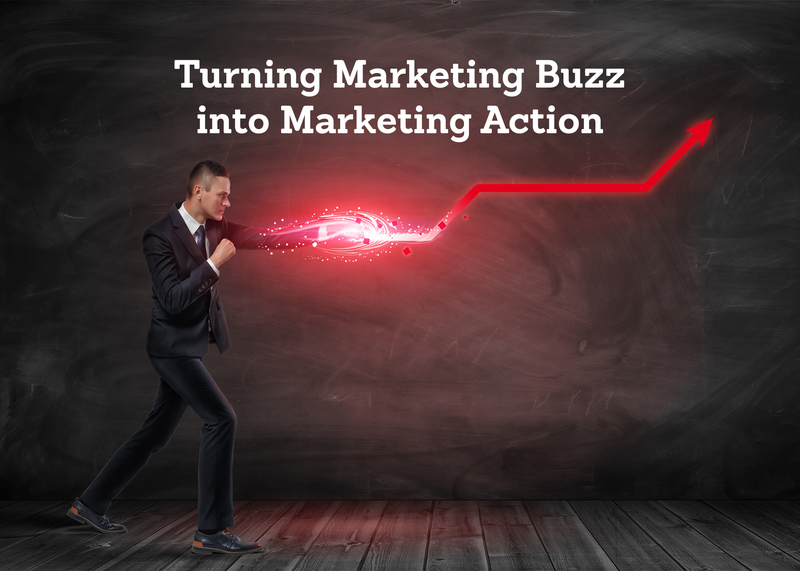 Read on to learn what's buzz-worthy and actionable in marketing today. The emotional effect that is at the root of effective direct mail. Direct mail response rates are 10-30x higher than digital. Design Toscano is seeing better engagement from web visitors after sending them individualized postcards based on browsing behavior. At the Total Retail Tech conference, which took place in Dallas from September 18-20, there was no mistaking the main objective around propelling retailers’ technology strategies forward. This event did not disappoint. From the content, to the networking, to the thought leaders- we love this event! Marketing and technology greats from brands like IBM, Neiman Marcus and Title Nine shared their perspectives on technology and data. Specifically, on how the combination of these critical pillars within marketing enable us to understand, reason, learn and communicate. Another key message throughout the two-day conversation focused on “embracing the blur”. At NaviStone, we couldn’t agree more. Marketers have to break down the silos that exist within their business and when they do, that’s when they can truly gain the single view of all customers and create a meaningful human experience. Late September, we packed up our sunscreen and headed down to San Diego for the 2018 eTail Connect West event. This event included two days of insights on the industry’s biggest opportunities from industry leaders, like Spanx, REI, Luxottica and GameStop. From the main stage to the breakout sessions, there was a clear theme of AI & machine learning, personalization and the customer journey. In a keynote session on day 2, Sterling Hawkins revved up the crowd with his presentation on embracing innovation with disruptive technologies such as AR, VR, AI, Automation, IOT, Robots and Drones. Describing a world in our not-so-distant-future where refrigerators will text shopping lists and drones will deliver milk! Honing in on the importance of data-driven personalization, Jim Edgett, Head of Digital Ecosystems & Channels at GameStop, enlightened the crowd on identifying customers and tracking them across device, personalization beyond product recommendation and how content can build relationships. Combining some of NaviStone’s favorite topics, Melissa Tatoris, VP of Retail Engagement of IBM Watson Customer Engagement, discussed how marketers can quickly act on customer behavior seamlessly to create real-time, personalized, data-driven experiences at every touchpoint with augmented intelligence. NaviStone was delighted to be at this year’s Argyle Leadership in Digital Marketing Forum in New York on October 10th. This select group of digital marketing executives came together to share insights on the most pressing issues in digital marketing today. Some topics included the evolution of digital and how its transformed not only the role of a marketing leader, but the whole organization. Other key points of discussion were data and the rise of automation and emerging technologies to create more meaningful experiences across channels. Those are topics we can get behind! A clear highlight to the day was a breakout session on “Evolving from Buzzwords to Action.” Small groups broke out and considered the top 5 buzz words they hear about most in marketing and discussed that in many ways, these buzz words have become meaningless. Take, for example, the buzz word “personalization”. it is commonly misused because what marketers really mean to say is individualization! What buzz word do you think has potential of coming to life and evolving into action, or fizzling out?